Some antibodies can cross-react with similar epitopes on different proteins. These can be different proteins in the same species, which determines the antibody specificity. Or similar proteins in different species, known as cross-reactivity. Although predicting the “possible” reactivity with other proteins in the same species is very important to assess the specificity of an antibody, cross-reactivity has always attracted the attention of scientists working with non-mammalian model organisms since it enables repurposing of existing antibodies. Knowing the potential cross-reactivity of an antibody can save the time and cost of generating custom antibodies. To our knowledge, there is currently no comprehensive resource that provides information on antibody cross-reactivity. 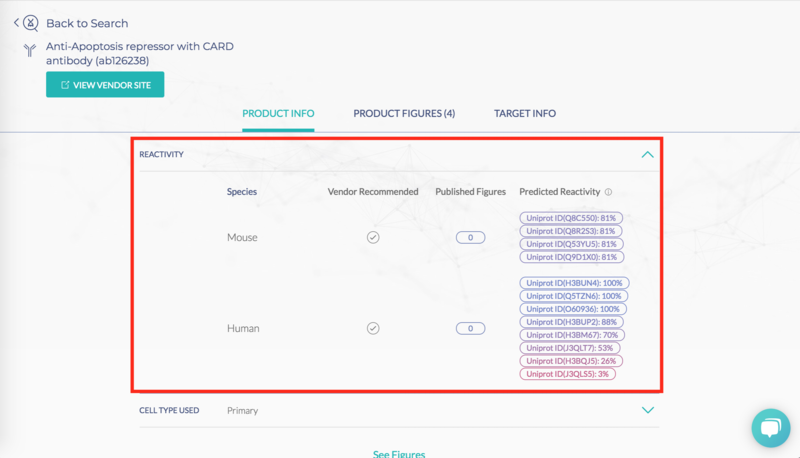 The available information is either provided by the vendors on their websites as a general chart (such as the Cross-Reactivity Chart provided by Thermo Scientific) or as part of the product properties (such as the cross-reactivity information provided by Abcam, Cell Signaling Technology, and MilliporeSigma for their products). 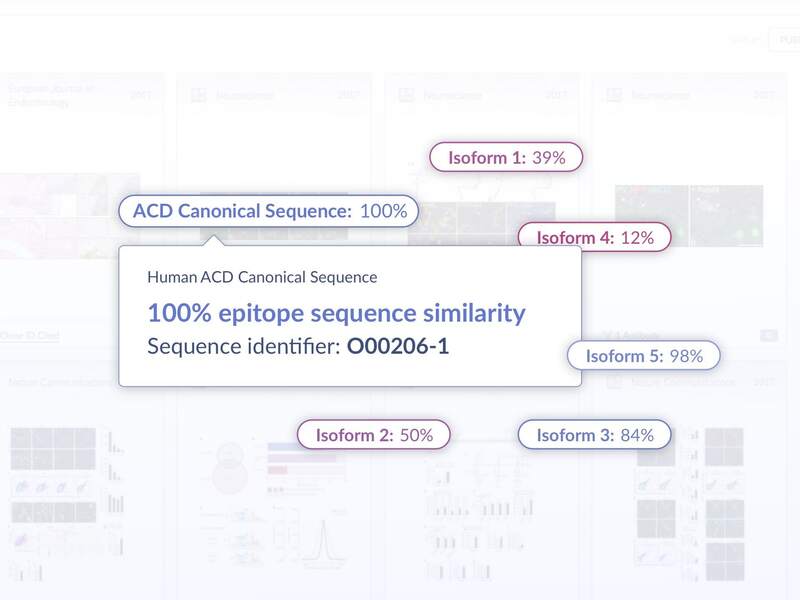 With the introduction of BenchSci's new predicted cross-reactivity feature, scientists can now see predicted cross-reactivity for hundreds of thousands of antibodies in one place. This post talks about the problem we aimed to solve, and how we solved it. In an ideal world, cross-reactivity can be predicted using the epitope sequence provided by vendors that make and sell an antibody. This eliminates the burden of predicting the epitope sequence. 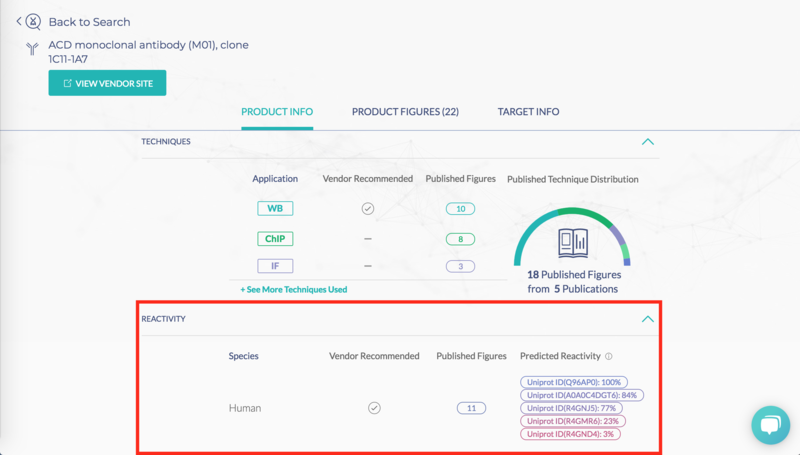 However, most vendors consider epitope sequence proprietary and don't disclose such information. So available antibodies with known epitope sequences represent a small subset of all antibody products. All these tools, and many other servers and methods, aim to find the epitope sequence through prediction, then it can be used to predict the cross-reactivity. 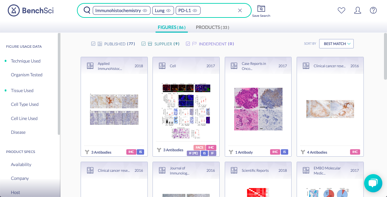 But with our goal of providing the most comprehensive antibody resource for scientists, we want to create and show the predictions on our platform. At BenchSci, we have the biggest antibody collection and the most detailed product catalog. We obtained information on over 600,000 epitope sequences from various vendors. 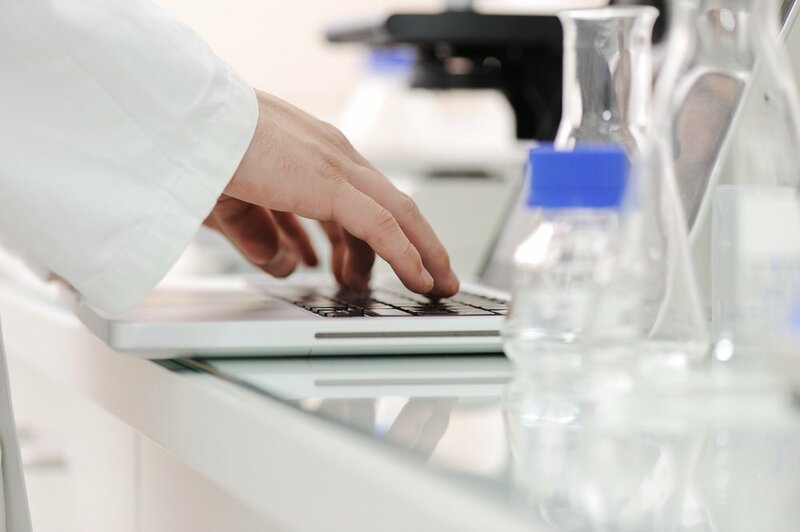 Through our bioinformatic analyses, we then developed the first-of-its-kind antibody insights with predicted cross-reactivities for over 400,000 antibody products across 12 different species. We decided to list all the results, including very low-similarity cases, instead of using a threshold and showing the high-similarity ones only. This can be particularly useful for researchers who are looking for an antibody that targets a certain isoform of a protein. The reason is that the epitope the antibody targets might be truncated or missing in an isoform of the protein, and thus the antibody may not detect the specific isoform of its intended protein target as indicated by vendors. We will continue to expand our predictive cross-reactivity analyses to more antibody products as we include more vendors in our database. If you have any suggestions or other feedback, please let us know your thoughts in the comment section below. 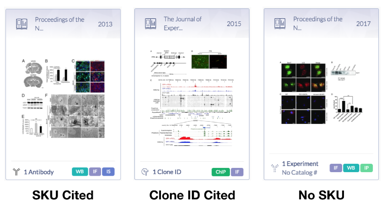 Editor's Note: We rolled out many more features in addition to predicted cross-reactivity. Check them out here.